The Airgo-Line™ Paving Breakers use the Airgo-line™ handle assembly which is designed to be a vibration dampening handle. The ergonomically designed handle absorbs at least 50% of the harmful vibration to the hands and arms of the operator. 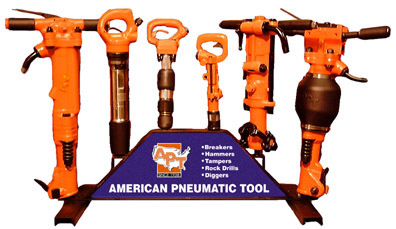 Paving Breaker Models 140, 160 and 180 are available as a Airgo-Line™ tool and come factory equipped with a Airgo-Line™ handle.